Alphabet Inc., the parent company of Google, has been named the largest lobbyist in Washington, DC, in 2017, the first time ever that a tech company has claimed that mantle. Alphabet spent $18 million to influence US government policy in the past year. 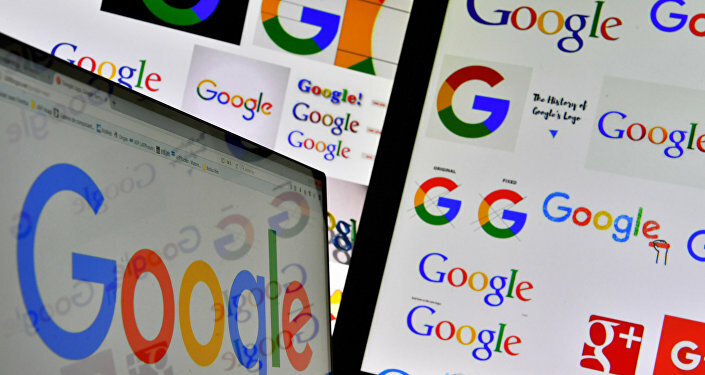 Brian Becker and John Kiriakou of Radio Sputnik's Loud & Clear spoke to Chris Garaffa, an independent tech journalist and web developer with website designer Box 8 Creative, about Alphabet's record-setting lobbying. ​"Looking at some of the things that Google is lobbying for, it would seem to list some seemingly innocuous things: some on human trafficking bills, immigration policy, increased infrastructure spending," said Garaffa. "But they're doing it all for their own benefit. Google wants infrastructure spending for their own fiber network rollout that would provide internet service to cities across the country, something they've been working on for many years. They want immigration change because they want to able to hire workers from other companies and bring them into the United States." "In particular, I think we need to talk about the consumer privacy thing that Google has been lobbying for. They've been lobbying very hard for consumer privacy laws, but I think that's just a PR move. As the Snowden reports and other reports from Al-Jazeera and other news outlets have told us, they work very closely with the NSA. In fact, the executives of Google have personal relationships with the NSA directors." Becker and Kiriakou discussed the broad power major corporations wield in the US government, with tech corporations such as Apple and Facebook also spending tens of millions on lobbying Congress in 2017. Becker added that Google's power goes even deeper than that: their secret algorithm to decide which search results appear and in what order gives them enormous socio-political power, but is subject to virtually no regulation. "I often bring this up when people talk about so-called ‘Russiagate' while US companies are lobbying and spending millions and billions of dollars collectively to influence the elections," agreed Garaffa. "But we never talk about that, whereas Russia may have had a few hundred thousand accounts — and it still hasn't been proven." "Google and Facebook and Apple are joining the likes of Northrop Grumman and Lockheed Martin and other giant defense contractors, plus AT&T, which was and now is again a monopoly. That is what Google wants to be: a vertical monopoly, providing services from literally being your internet service provider, the cable to your home, all the way up to your data on the cloud, what YouTube videos you're watching, the content of your emails, the searches you're making, the content of other websites that you're going to." "It does that because its main product is not the search engine, or even advertisements, but your personal data is what Google is primarily concerned with," he said. Kiriakou argued that he considered Google to be part of the "deep state," working with intelligence agencies and policy makers to furtively amass power, or whatever a deep state does. Becker brought up that during the tenure of former US President Barack Obama, Google executives visited the White House around 450 times, more than any other company. "Google is not partisan," said Garaffa. "They give about equally to Republicans and Democrats. Maybe [Alphabet Inc. President] Sergey Brin cares who's in the White House, but as a company they don't particularly care. They want to get their results, and they're going to get them, regardless of who's in the White House." "It's interesting you mentioned the many visits to the White House. A lot of that actually was about Cuba policy: Google was in some ways instrumental in Obama's change towards the approach to Cuba, and part of the reason for that was that they are now providing some Internet access through Google services to Cubans. We can only imagine what they're doing with that information, which three letter agencies they're handing the search results to."